UPND president Hakainde Hichilema says his party will ensure that young people’s lives are secured through the provision of decent jobs. Hichilema has just wrappe a campaign trail of the Gwembe valley where he addressed rallies in Sinazongwe, Maamba, Munyumbwe and Chipepo. 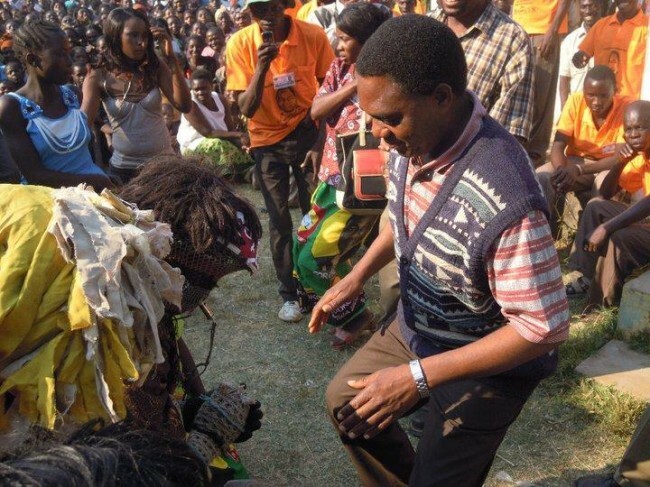 Hichilema told the crowds that President Rupiah Banda’s government has neglected the young people. Hichilema said it was sad that young people who are supposed to be the hope of the future have nothing to do in their lives, adding that the position government had taken towards job creation had proved to be ineffective. “The leadership of this country needs total overhaul, there is no way we shall allow this kind of decisions being taken by President Rupiah Banda and his lieutenants to continue, young people have no hope anymore under this leadership,” said Hichilema. He said it was shameful for anyone seeking leadership positions ahead of this year’s election to continue campaigning without evaluating their performance in the past years. “Look, what is President Banda going to tell the people of Zambia over his leadership when he goes to campaign? It is also important for you people to demand for an explanation from the people you entrusted with instruments of power to know how they performed, ask them did you work on the roads you promised, did you built a hospital for us as you told us,” said Hichilema. He said leadership was not for pride and records but to plan and provide a decent livelihood for the people. Hichilema urged the people of Zambia not to relent because the day for salvation had drawn near. “I have to recommend him for finally announcing the dates for elections, he has done this not from his wish but because the people of Zambia through their concerted efforts pressured him to set the date for elections and we are more than ready,” said Hichilema. And addressing huge rallies in Munyumbwe, Hichilema asked the people to decide the kind of life they wanted to live by casting their vote this year. “This is a crucial year for all of you people here, this is the time you shall decide the kind of life you want to lead in the coming five years, if you are happy about leaving in poverty and without jobs then the MMD government and President Banda are the solution, but if you are tired Hichilema is the solution not these tired politicians,” he said.